Our student organization was founded by a group of students united by the belief that that hands-on experience is foundational in becoming a successful engineer. Since then, we have devoted our time and energies towards providing project experience that compliments UCLA's engineering coursework. In addition to tools, our organization provides like-minded and experienced project leads that provide fundamental background knowledge, as well as guide students through challenging and interesting projects. The Institute of Electrical and Electronics Engineers (IEEE) is the primary professional society of the electrical engineering profession. It has more than 330,000 members worldwide; including 52,000 student members. It publishes more than 40 technical journals and sponsors or co-sponsors more than 1,000 scientific conferences and meetings around computer engineering, computer science, and related fields. The IEEE has a student branch in every major university in curriculum. Getting involved with the IEEE national organization is highly encouraged, and can provide you with many resources to jump-start an engineering career adn expand your network. To find out more, visit the IEEE website! One of the most common questions we receive is how can one become a member of our club. We don't have tight restrictions on who is and who isn't a member. Becoming a general member of our club is as simple as getting involved with one of our project curriculums, participating in any of our annual workshop series, showing up to a social or two, joining our Facebook page, or even just sitting in the lab just to say hi to your favorite officers. Whichever you choose to do to get more involved, we'll be more than happy to welcome you to the club! General Board is our annual mentorship program. Every year, members of our officer board choose to lead a group of 3-5 general members for the rest of the academic year. Each GB decides on a a set of focuses for their group, chosen among technical projects, hosting socials and events, or professional development. In addition, members of a GB get first-hand experience in what it's like to be an officer for this organization, which usually motivates higher club involvement in the future. General Board is a great way to experience a closer and more personal experience with us! Applications and info sessions happen a couple weeks before heading off for Winter break, so keep an eye out for those on our Facebook page, and in our newsletter. Visit gb.ieeebruins.com! It's a page we created with some neat visuals and statistics about General Board. Our annual All-America Micromouse Competition brings schools and universities together over one Micromouse competition. In this competition, school teams have their mice put to the test as they run through multiple maze challenges, in hopes of out-performing the rest of the competition. It's an intense, fun-filled, and tiring day of everything and anything Micromouse! 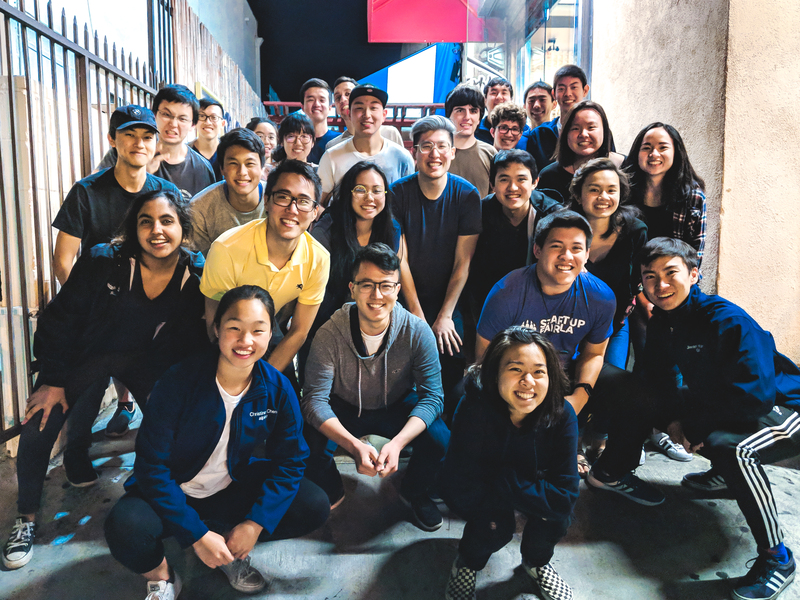 Every year, we team up with Theta Tau at UCLA in order to put on IDEA Hacks, a hardware-focused hackathon. Hackers are invited onto our campus and challenged to hack with hardware that we provide to build something relevant to the year's theme. Winner's get to take home some need prizes! 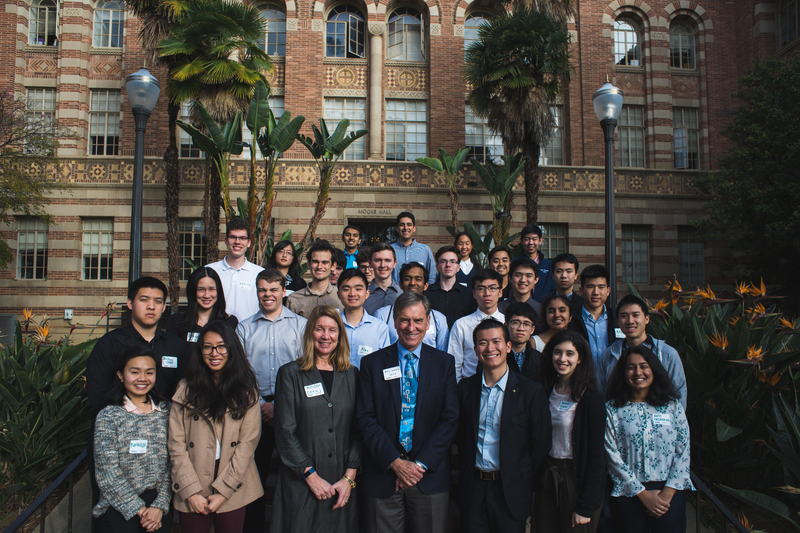 SPAX is an annual student professional awareness event organized by IEEE at UCLA. It focuses on providing students with professional awareness, networking opportunities, and industry contact to not only prepare participants to be leaders in their future careers, but also provide opportunities to those who may not have access. Every year, the X switches between C for conference and V for venture. During SPAC, a group of selected speakers come to share their experiences with participants. During SPAV, participants venture out to selected companies to learn more about their prospects. Our collaborative and friendly culture is the foundation of our organization. We furthur reinforce our culture by hosting quartly events and socials meant to bring members closer together and form new friendships. Some of our favorite events are our Fall BBQ, heading out for KBBQ, and our in-house ultimate frisbee tournaments! For more information on our events and socials, sign up for our mailing list!